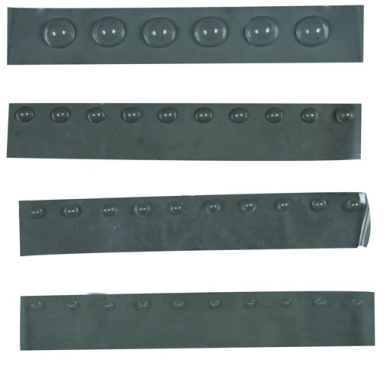 Plas-Ti-Shim - Industrial Plasters Ltd.
Plas-ti-shim can aid in simplifying the multi-piece mould making process. It’s as easy as placing Plas-ti-shim along the seam line of the original, then silicone can be applied over the whole of the original in one go. Insert ‘Mould Buddies’ to create locator points for the fibreglass jacket. The bubbles create locator points for the silicone mould, providing a near-perfect seam on your mould every time.